SANTA ANA — Lisa Bartlett was sworn into her new post as Orange County supervisor a few weeks ago. When she took office, the Dana Point Harbor Revitalization Plan was still as much a concept on paper as it was when it was first drafted almost 20 years ago. The revitalization plan was introduced in 1997, but ground has yet to be broken. Several agencies and interest groups were involved in the entire process, including the California Coastal Commission, Orange County, city of Dana Point, Boaters 4 Dana Point and Dana Point Boaters Association. Bartlett, who served on the Dana Point City Council between 2006 and 2014, believes there is a light at the end of the tunnel and the revitalization plan will finally be realized before she completes her tenure as supervisor. (She was elected to a four-year term in November 2014; her first term ends in January 2019). The first-term supervisor recalled moving to Dana Point in 1989 — the year it was incorporated as a city — and hearing of plans to revitalize the local town center and harbor within years of the city’s founding. More than 15 years later, however, both projects were still in the planning phases. Accordingly, Bartlett decided to run for City Council and attempt to nudge the process forward. Within her first four years on the council, Bartlett said she was able to get approvals for the Dana Point Harbor Revitalization Plan at the city level; the county’s Board of Supervisors and Coastal Commission also approved iterations of the plan along the way. “The project itself has been in the works for 20 years and two supervisors … [and] has gone through a number of iterations. I had to focus on significant changes [during my time on the council],” Bartlett said, adding there were alterations to the number of boat barns, parking structure size and boat dock configuration. Plans also had to ensure there was an adequate number of slips and dry boat storage spaces. Still, she believes the revitalization plan, in its current format, balances the interests of all stakeholders. “I’m very happy with the plan. It accommodates boaters, the merchants, residents of the city and the county,” Bartlett said. 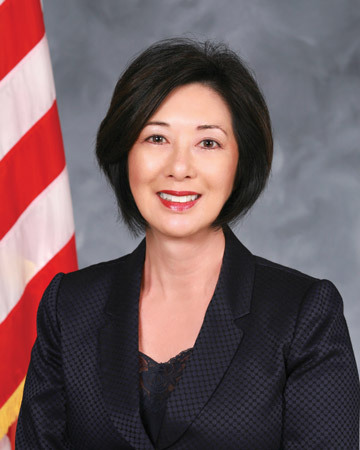 According to her profile page on votersedge.org, which listed a summary of Bartlett’s top priorities and political philosophy during her supervisorial campaign last year, the Dana Point HarborRevitalization Plan was a project she cited as key to strengthening local economic vitality. “The Dana Point Harbor Revitalization Plan is an important element to improving South Orange County’s economic viability, because it advances our harbor’s accessibility and use for residents and tourists alike,” Bartlett stated on the electoral information website. Revitalizing Dana Point Harbor will not be cheap. During our phone conversation, Bartlett stated the project’s bill is about $175 million. Still, Bartlett anticipates construction will start this year and be completed during her tenure. A lot will happen in the next six to eight months, she added. The Log will monitor how the Dana Point Harbor Revitalization Plan progresses and keep readers posted of any new developments as they occur.